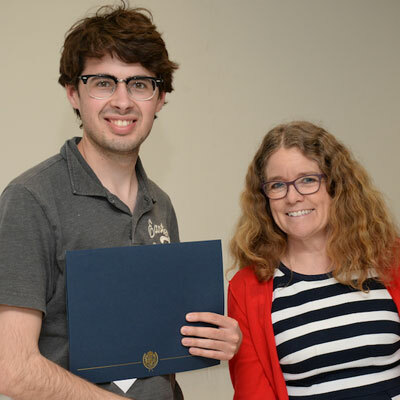 Majors within the Department of Biology and pre-health professional students are eligible for a variety of scholarships based on academic performance and career pursuits. Students must submit a scholarship application in order to be considered for scholarship funds. Generally, scholarship funds are awarded in the spring semester on a yearly basis. The Scholarship Committee meets in February/March to select scholarship awardees based on the criteria for each scholarship fund. Scholarship letters are typically distributed to students in mid-April for awards to be made for the following academic year. Scholarship Applications for Returning Students are due February 15, 2019. Scholarship Applications for New, Incoming (Freshman) Students are due March 8, 2019. Continuation of scholarships is predicated on the student continuing to make progress within their major, maintaining a good GPA, and maintaining full-time status. In some cases, students enrolled part-time who are still making progress on their degree may be awarded pro-rated scholarships. 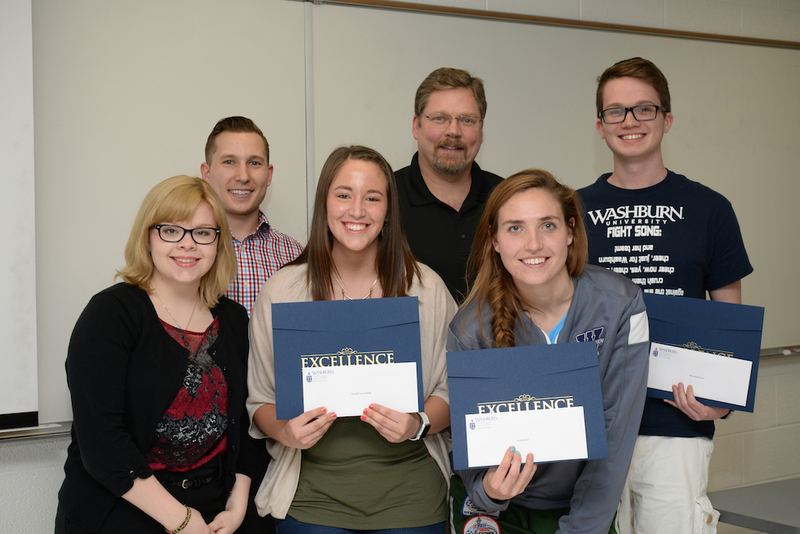 These scholarships are made possible by the generosity of Washburn alumni and friends. 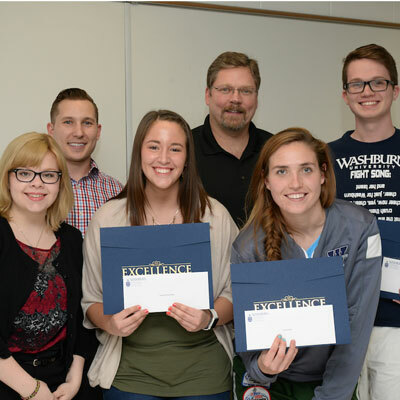 The Department of Biology thanks all those donors who support our scholarship funds through the Washburn University Foundation. Scholarship recipients are asked to write a brief thank you note to the donors. 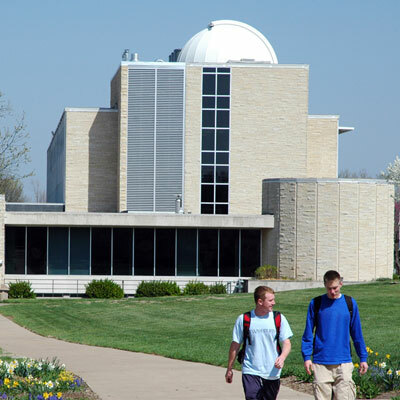 If you would like to begin a new or enhance an existing scholarship, please contact either the Chair of the Department of Biology (john.mullican@washburn.edu) or the Washburn University Foundation. (L-R) Lauren Zeller, Elliot Konrade, Kayleigh Schoenfelder, Dr. John Mullican, Audra Keehn, and Shane Broxterman. Kayleigh, Audra, and Shane are the co-recipients of the 2017-2018 Meinershagen Senior Scholarship Award. The Awards were presented to the recipients by Lauren and Elliot, the 2016-2017 Senior Scholarship Awardees. (L-R) David Dennis and Dr. Laura Stephenson. 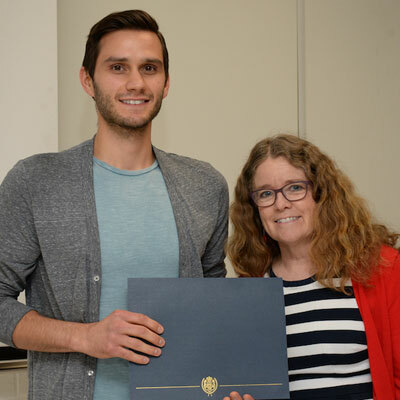 David received a Dean Scholarship for the 2017-2018 academic year. The Award was presented by Dr. Laura Stephenson, Dean of the College of Arts and Sciences. (L-R) Logan Appenfeller and Dr. Laura Stephenson. 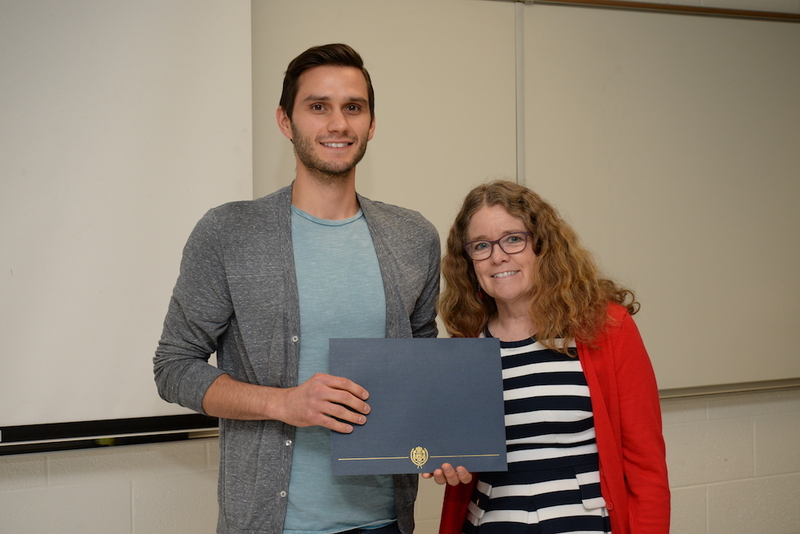 Logan received a Dean Scholarship for the 2017-2018 academic year. 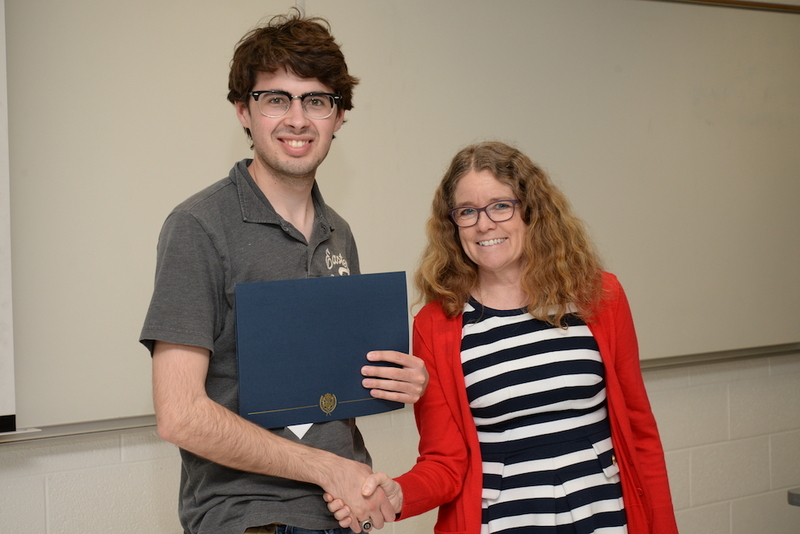 The Award was presented by Dr. Laura Stephenson, Dean of the College of Arts and Sciences.